On Friday, I took my daughter to the terrific “Destination: Moon” exhibit at the St. Louis Science Center and realized that most of the people around me were not alive when men first stepped onto the lunar surface. 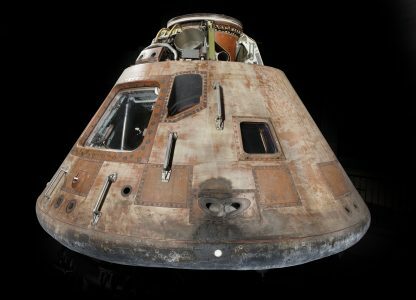 Then, from three feet away, I saw the actual Apollo 11 Command Module capsule that Collins, Aldrin, and Armstrong rode a half-million miles on their roundtrip in July, 1969. The hair on my arms stood up and I was overwhelmed by the memory of the greatest scientific achievement in history. Here are more reasons I won’t watch “Roseanne.” The art = the artist. Updated at 1:01pm: Well, that was fast! ABC just cancelled the sitcom. Somewhere, Dan Conner is wishing he’d stayed dead. 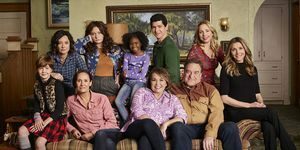 Updated at 2:34pm: Roseanne has also been dropped by her agents, which means she’ll return to the off-the-radar status she’s had in show business since her sitcom ended the first time. Meanwhile, what about the rest of the cast?  John Goodman and Laurie Metcalf will return to thriving acting careers, and Sara Gilbert will continue with her CBS daytime show “The Talk,” but have any of the others been seen in anything in the last 20 years that indicates they’d be hired for any new projects? If Starbucks was really invested in changing attitudes about race, it would have closed its shops in the morning, when it does the bulk of its business. On the other hand, at least their racial sensitivity training isn’t being led by Roseanne. A televangelist in Louisiana wants people to donate $54 million so he can buy a private jet, thus allowing him to avoid “demons” who infest commercial flights. Something tells me he just watched an old “Twilight Zone” episode on Netflix and thinks he’s William Shatner. The crowd at Yankee Stadium responded with a lot of vocal disapproval when it was announced Rudy Giuliani was in the stands this weekend. Trump claimed they were Fake Boos. My wife and daughter and I sat down to watch “The Godfather” yet again last night. When it was over, I forgot to take the cannoli. Dammit!